Got Ice Dams? Need Snow Removal? An ice dam is a ridge of ice that forms at the edge of a roof and prevents melting snow (water) from draining off the roof. The water that backs up behind the dam can leak into a home causing damage to walls, ceilings, and insulation. 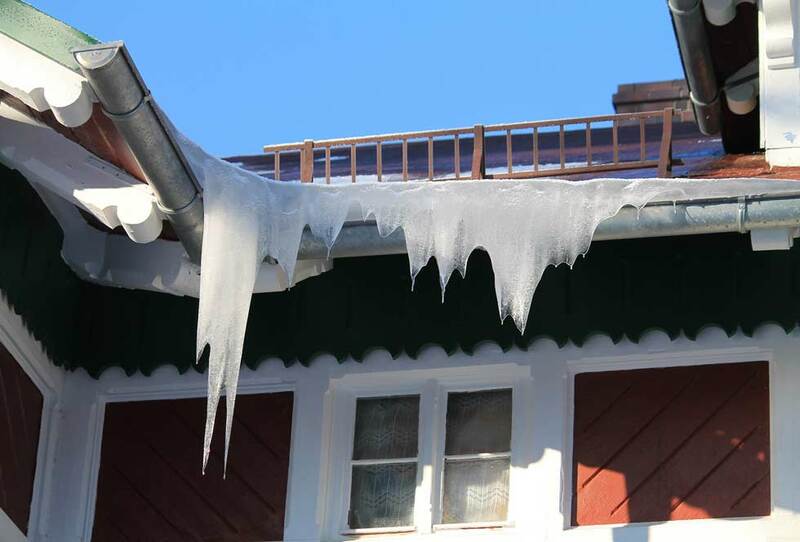 High heat loss on your roof can cause both icicles and ice dams to form potentially causing water to leak into your home. Don’t get on your roof to solve this problem, it could be dangerous without the right safety equipment. Let the professionals at Columbus Exteriors help you. Avoid standing on the ground and “chipping away” at the ice. 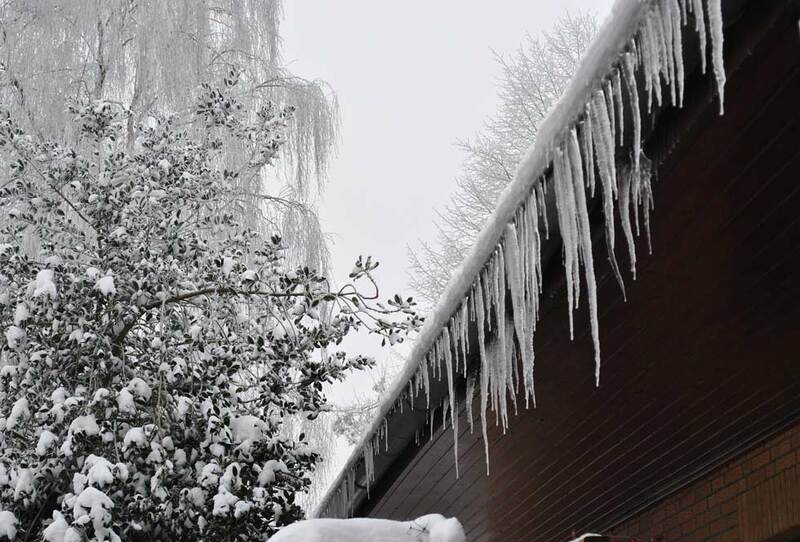 Not only could this cause damage to your roof, but you could be seriously injured by falling ice, debris, or tools. Only let a professional trained company like Columbus Exteriors to take care of all your ice and snow removal. 24/7 Emergency Service 365 days a year. If it’s just snow, we will carefully shovel it off with highly qualified workers. We remove ice buildup professionally with a steamer preventing any damage to your home. Crews are ready to complete ice and snow removal jobs at reasonable rates. Columbus Exteriors is a quality-oriented family-owned and operated company doing business since 1976.